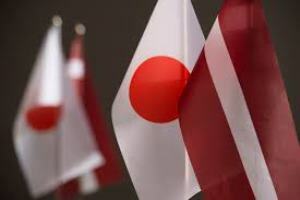 During the visit of Latvian Prime Minister Maris Kucinskis (Greens/Farmers) to Japan, Latvian Transport Ministry’s state secretary called on Japanese business representatives to use Latvian transit opportunities, the ministry’s representatives reported LETA. Ozolins underscored the potential of Latvian transit and ports, pointing at Latvia’s advantages – the geographic location, unfreezing ports, road and railway infrastructure, modern logistics and distribution centers and air connections. The state secretary presented Latvia’s logistics sector and its achievements to Japanese business representatives. He also spoke about its growing role in the Eurasian distribution chains, offering Japanese businessmen to use Latvia’s transit corridor for delivering Japanese goods to Scandinavia and Norther Europe. Ozolins also informed on the results of the Riga International Airport and national airline airBaltic – the growing number of passengers and transit passengers, the connections, increasing cargo volumes, the growing e-commerce cargo transit. As reported, Kucinskis' visit to Japan will continue through December 9. Kucinskis will later have meetings with Japanese Land, Infrastructure, Transport and Tourism Minister Keiichi Ishii, Economy, Trade and Industry Minister Hiroshige Seko, and members of Latvian-Japanese parliamentary cooperation group. Kucinskis will also participate in forums on Latvian-Japanese economic cooperation development, organized by Japan External Trade Organization and the Fintech Center of Tokyo (FINOLAB). He will meet with the heads of several Japanese business associations and major companies.